Fed, exercised and ready to play. 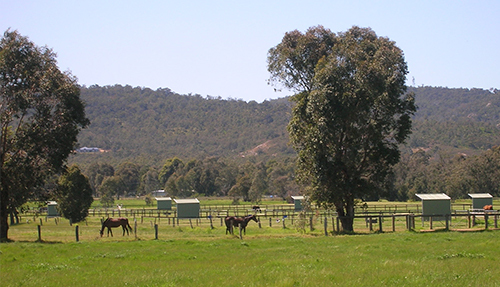 Horses are kept on our 100 acre riverside property in paddocks and are fed and exercised as required. 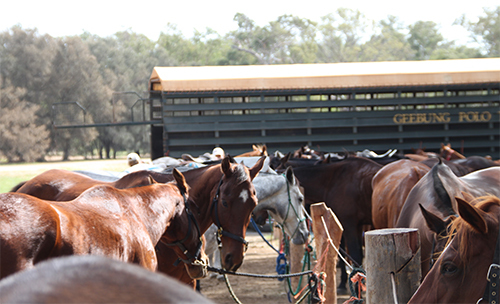 Brett personally oversees the care of the horses and their individual requirements. When your horses are kept at livery with Polo Kidogo, you need only pitch up and play as all other arrangements can be made for you. There is a large irrigated practice area where you can stick and ball your own ponies on an excellent ground at anytime. It is widely acknowledged within polo playing circles that the horse accounts for 75% of the game. It is therefore vital to have horses in peak condition. Brett has many years experience in the care of top level polo ponies. Polo horses are referred to as "polo ponies". This does not mean that players are riding around on kids' ponies. Although the first modern polo mounts were true ponies of about 12 hands from India. There is no breed that has established itself as THE polo pony. Polo ponies are a type, not a breed. 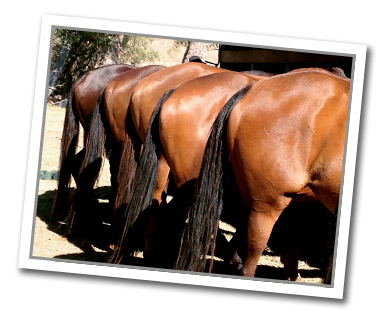 Many polo ponies are cross breeds, the Argentine Criollo, The Australian Stock Horse or other thoroughbred crosses. Horses can be retrained from the track. In every case training a polo pony requires many hours of effort and patience from the trainer. High goal polo ponies are extreme athletes and can command very high prices.